If you thought that records could only be round, Pirates Press is here to challenge that notion. Whether it is a "simple" shape (i.e. a square, rectangle, oval, or triangle, etc. ), one of our standard shapes (i.e. heart, saw-blade, tree, etc. 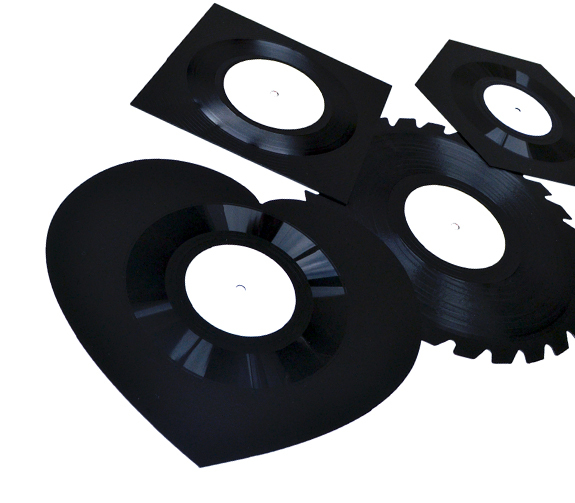 ), or something completely custom, we are here to walk you through the process and help you press some truly impressive records. So let your imagination go wild and don't be afraid to think outside of the box, or in this case, the circle.